At Cohesity we like to simplify things. We have already radically simplified backup and recovery for applications that run in the cloud, on-premises, and the edge. We are now taking simplification a step further by providing our first SaaS (Software as a Service) offering: a true web-scale backup solution for your cloud native Google Cloud apps! Why have we taken this important step? It is estimated that a whopping 33% of all enterprise workloads are now running in the public cloud. This amazing stat demonstrates the new normal for organizations today: It is difficult to migrate on-premises applications to the cloud (and since the business benefits of a lift-and-shift approach are often not clear it may not even be desirable to do so), so most cloud workloads are also born in the cloud. This trend is expected to continue, with 58% of enterprises planning to move more of their workloads to the public cloud. Given the cloud is running mission-critical enterprise applications, it follows that they require the same data protection as on-premises applications. Services fail, even in the cloud, risking loss of data. Public cloud providers don’t backup your data. They may provide some basic capabilities that help protect data, or they may refer you to third party data protection vendors, but the backup itself is usually your responsibility. Data protection tools provided by public cloud vendors typically fall short, especially when it comes to logical user errors. Users often make logical errors such as deleting or modifying even large amounts of data by mistake. In those situations there will be a request to restore specific VMs, files requiring granular search and recovery. 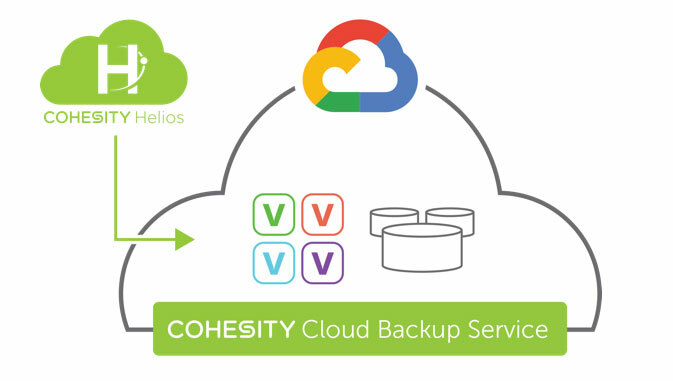 Cohesity Cloud Backup Service addresses these challenges by providing enterprise-grade backup and recovery for applications that run in the Google Cloud. Because we use a SaaS-based delivery model, our Backup as a Service (BaaS) solution is very easy to consume. The service is available through the Google Cloud Platform (GCP) Marketplace, where you can sign up with a few simple clicks and enable backup and recovery for your applications within minutes. Once you are signed up, you access the service through Helios, our single SaaS-based dashboard. We tightly integrate into GCP’s Identity and Access management (IAM) to provide self-service based on user roles. You can choose policies that are provided as part of the managed service, which helps eliminate the need for custom scripts or manual processes. Granular search with instant recovery. Google-like search (what else would you expect from the former lead developer, Mohit Aron, of the Google file system!) and instant recovery for any file or VM lets you find what you need quickly, and recover fast so you can be back to business. Built for web-scale with always on availability. A core differentiator of Cohesity is our unique distributed file system, SpanFS, that has no single point of bottleneck, and allows us to scale the service to handle ever increasing data volumes. The distributed architecture also provides always-on-availability by rebalancing data as nodes are added or removed, which enables non-disruptive upgrades. Significantly better TCO. A highlight of our Backup as a Service solution is global variable length deduplication and compression, which helps reduce your data footprint. 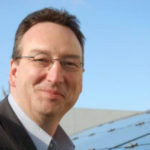 Since the cost for the service is based on data consumption, the benefit of lower TCO is passed on to you, the customer. Cohesity Cloud Backup Service runs cloud-native in the Google Cloud Platform, where we protect your data through a comprehensive set of layered security capabilities, processes, and controls. (Watch this technical overview video to learn more). Cloud-based data protection for your cloud apps intuitively makes sense — in addition to avoiding egress charges by cloud providers, a cloud-based approach also eliminates the need to deploy and manage on-premises backup software and infrastructure. Our cloud-based approach to backup and recovery also allows us to tightly integrate into the Google Cloud via the Google snapshot APIs, which improves backup and recovery performance, and as mentioned above, enables integration with Google’s IAM. You also receive a single bill from Google Cloud that includes all consumption based charges for Cohesity’s service. Visit the Google Cloud Platform Marketplace and sign up for the service or reach out to Cohesity or our partners to learn more.